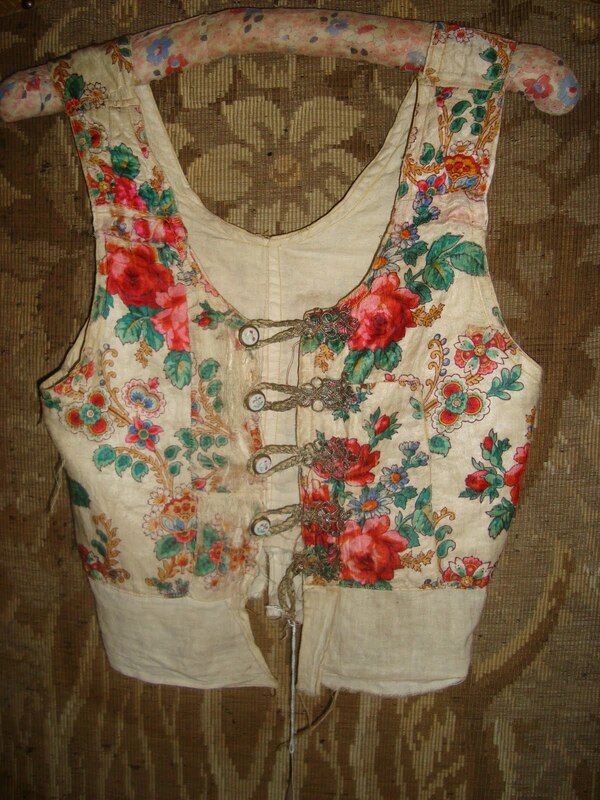 Interesting Antique Textiles: Roses, Roses, Roses! After a glorious Spring weekend, and more sunshine forcast for this week, my thoughts have turned towards flowers, as they often to when I am thinking about textiles. I have put some lovely rosie textiles into the website, including a yummy Canton piano shawl with gypsy colours that would be perfect to wear on a warm summer evening, a tiny, quite damaged bur still delicious French silk child's bodice that would display beautifully in a boudoir, and some wonderful French cotton panels printed with baskets of shabby chic roses against a trellis over-grown with morning glory that would be wonderful for Spring & Summer sewing projects. Ahhhhhhhh florals. My favorites, always. I grow to love flowers and images of flowers more and more as I grow older, also, I am a terrible flower gardener - I am better at growing herbs and vegetables - so floral textiles fill my home and heart to compensate!